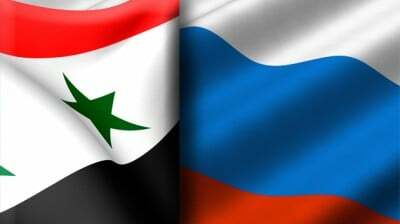 Russia has taken the lead in supporting Syria this summer, actively initiating efforts to bring a diplomatic resolution to the country’s crisis and assemble an inclusive anti-ISIL coalition. The rapid pace at which it’s working is due in large part to the looming specter of a joint American-Turkish invasion force which hangs ominously over the Mideast. Disturbed at the success that Russia has had so far in reaching out to the US’ traditional Mideast allies, as well as that staying power of the Syrian Arab Army in holding firm against the latest onslaughts against it, the US commanded its media proxies to initiate an intense information war against Syria, hoping to both break the back of its resistance and complicate Russian efforts to assist it. This hybrid information war manipulates the three disparate but interconnected factors of the refugee crisis, Russian efforts to assist Syria, and the Balkan overflight zones in order to advance American foreign policy and concoct a package of media myths to deepen the destabilization of Syria. This episode of information warfare wasn’t engineered just to waste time and create a week-long media distraction, since there are more important things that it was aiming for. The fake-intervention-turned-‘real’ by the Western mainstream media was simultaneously directed at the Saudi, Russian, and Syrian audiences. Speaking on the first, the US is apprehensive about thedeveloping relations between Russia and Saudi Arabia, specifically in the context of diplomatically bringing a close to the War on Syria, and it sought to throw a wrench in these efforts by crafting the false story that Russia unilaterally upped the ante and abandoned the secret negotiation framework. Thus, the fake report was also intended to distort the idea behind Russia’s anti-ISIL coalition, which isn’t to invite a Russian frontline component into the war, but to gather all existing military forces under a coordinated anti-terrorist umbrella . Bulgaria is the polar opposite of Greece on this matter, since it decided (likely on its own andwithout being asked ) to ban Russian humanitarian aircraft from flying over its territory en route to Syria. It likely did so in order to spite Russia for calling its American-advised bluff and replacing South Stream with Turkish Stream, since Bulgaria is still fuming about how this act utterly destroyed any prospects it ever had of crawling out of its economic backwater status and becoming a semi-normal European economy. While it did backtrack a bit and said it would allow the flights in question to continue on the condition that their contents are inspected beforehand, Moscow dismissed Sofia’s humiliating ‘offer’ and insisted that it had other air routes available , with Iran stepping up to present a viable alternative.